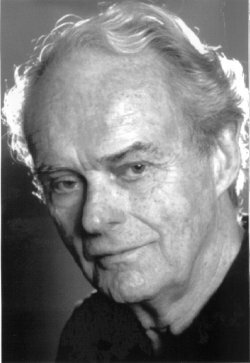 Lee Hoiby, master of opera and song and longtime collaborator with American Opera Projects, died on March 28, 2011 at Montefiore Hospital in New York City, following a short illness. Mr. Hoiby was 85. Born on February 17, 1926 in Madison, Wisconsin, Hoiby was introduced to opera by legendary composer Gian Carlo Menotti, his teacher at the Curtis Institute of Music. His musical catalog incorporated operas, oratorios, choral works, concerti, chamber works, song cycles, and more than 100 songs. Hoiby’s first opera, The Scarf, was declared by Time Magazine and the Italian press as the Spoleto Festival’s first hit, and his setting of Tennesse Williams’s Summer and Smoke was championed as “the finest American opera to date.” His last opera, a setting of Shakespeare’s Romeo and Juliet, awaits its world premiere. In addition to being a longtime collaborator of AOP, Hoiby was also a longtime friend. He served as a Composer Chair for two years on AOP’s Composers & the Voice series, and in 2006, AOP commissioned his setting of Thomas Hardy’s poem The Darkling Thrush as part of the multimedia opera Darkling. Another of Hoiby’s operatic works, This Is the Rill Speaking, had its first professional and orchestrated performances through AOP at SUNY Purchase and New York’s Symphony Space in April of 2008. This Is the Rill Speaking was based on a play by Lanford Wilson, who died last week on Thursday, March 24th, just four days before Hoiby. For more information regarding The Lee Hoiby Institute for American Music, please visit www.leehoibyinstitute.org. A memorial service will held on a date to be announced later this spring. Mr. Hoiby is survived by his partner Mark Shulgasser. For the NYTimes obituary, please click here. For the Schott Music tribute to Mr. Hoiby, please click here. Hear ye, hear ye, come one, come all! Composers & the Voice returns to AOP this fall! It’s true, the moment you’ve all been waiting for. American Opera Projects is proud to announce the sixth season and reintroduction of our Composers & the Voice series, with the generous support of the Andrew W. Mellon Foundation. We will select 6 composers or composer/librettist teams for a year-long fellowship, working with the company’s Resident Ensemble of Singers and Artistic Team. The primary focus of the series is to give composers and librettists extensive experience working collaboratively with singers on writing for the voice and contemporary opera stage. Longtime Composers & the Voice Artistic Director Steven Osgood will lead the workshop series. The 2011/12 series is being expanded to incorporate training for composers and librettists in acting, improv games, and libretto development. Eight New Works Sessions will take place approximately every 4 weeks, and will focus on vocal writing. An additional series of Skill Building Sessions will occur approximately every 2 weeks throughout the season. There will be a total of 15 workshop sessions between September 2011 and April 2012. AOP is encouraging applications from both composers working alone, and composer/librettist teams. Composers and librettists applying jointly need not have prior collaborative projects. You are currently browsing the Have a Voice blog archives for March, 2011.